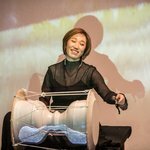 Korean percussionist Kim So Ra has played the hour-glass shaped, two-headed drum known as janggu since she was a child. In high school she became a prominent prize-winner at folk festivals and cultural competitions, going on to eventually to achieve her Master of Korean Music degree in 2012. Since then she has been taking quietly revolutionary steps to modernise perceptions within traditional Korean music. Pivotal was her 2013 visit to Chicago to collaborate with musicians of diverse backgrounds in a project she named 'The Modernization and Globalization of the Janggu', returning the following year for the Janggu Rhythm Connection project. At home, she formed the first all-female traditional arts performance group, Norikkot, as well as the electronic/ traditional fusion band, nuMori. 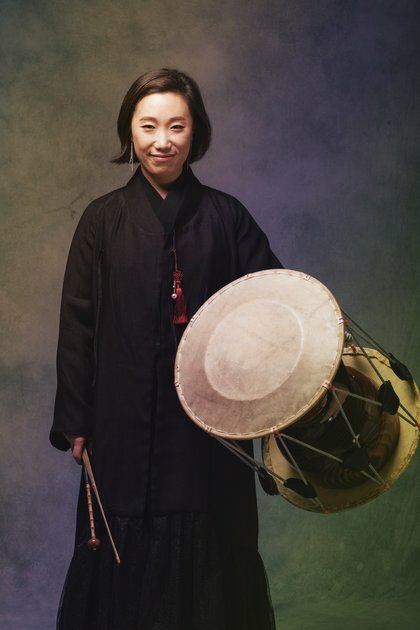 In her performances, she explores new rhythmic concepts with traditional Korean instruments. 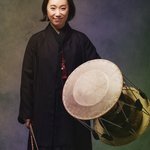 A multi-award winning Korean traditional percussionist, composer, and ambassador of Honam Province Jeongeup folk music, Kim So Ra is one of the most skilled and prominent Jang-gu (Korean double-headed drum) players in Korea. Kim is known for her genre-bending performances combining Korean traditional sounds with creative, charismatic and modern interpretations. Kim is trained under the direct apprenticeship of human cultural asset Master Yu Ji Hwa. Kim has received eight 1st-place awards from major national music competitions since 2005, including National Nongak Master Competition, Gyeonggi Nongak National Competition, National Women’s Korean Traditional Music Festival, JeonJu International Sori Festival, just to name a few. These awards demonstrate her widespread recognition as one of the top Jang-gu players in Korea. 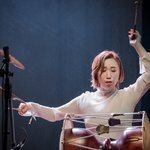 Kim has been selected as the only Korean solo percussionist to perform at the official showcase of the World Music Expo <Womex18>, and 2018 <Mundial Montreal World Music Summit> and is well positioned as a performer of global attention. Kim is also a founding member of Korean traditional music duo 'BUD’ and electronic music band ‘nuMori’ in Seoul, South Korea. 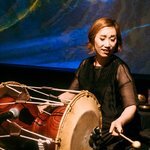 In order to realize the globalization of Korean rhythms, she performs the sensory rhythm through the dismantling of traditional rhythms and collaboration with other genres. she travels around the world and abroad every year, expressing and experimenting with traditional rhythms by working with other genres. Now she is recognized as a performer with the energy and artistic value of Korean percussion. Based on her firm belief and deep philosophy as a percussionist, she constantly struggles and studies to be a percussion performer who can communicate with all the rhythms of the world.